Hitachi Unified Storage VM eases the management of information. 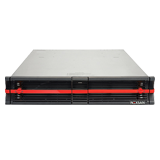 It manages all of your existing storage and consolidates all of your data in a single, virtualized platform. 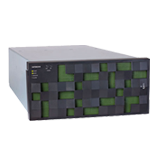 Hitachi Unified Storage VM is built with trusted Hitachi reliability for application availability, flash-accelerated performance and lower cost of ownership. Delivering enterprise storage virtualization in a unified platform lets you manage information more efficiently. Unified architecture lets you share resources to reduce capital purchases and lower operating cost by as much as 40%. Ensure that data is there when customers need it, with the highest availability – guaranteed at 100%, a commitment you won't find anywhere else. Increase performance or optimize cost by refreshing your technology with up to 90% less effort than alternatives. 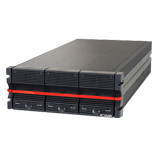 Flash storage accelerates performance and transaction rates – double that of comparable storage systems.